If you’re going to install Windows in UEFI mode on your computer or laptop, but you can’t select the disk that you want. And if you click Show details, you see below message which means that you can’t install Windows in UEFI mode on a disk which has MBR partition table. partition table. On EFI system, Windows can only be installed to GPT disks. Windows cannot be installed to this disk. The selected disk has MBR partition table. On EFI system, Windows can only be installed to GPT disks. To fix this issue, there are 2 methods. Convert partition table on the disk from MBR to GPT. Switch to boot as legacy BIOS-compatibility instead of UEFI mode. Note: The solutions below will delete all partitions and data on the disk. If you have any important data on the disk, you have to move or backup to other disk first. 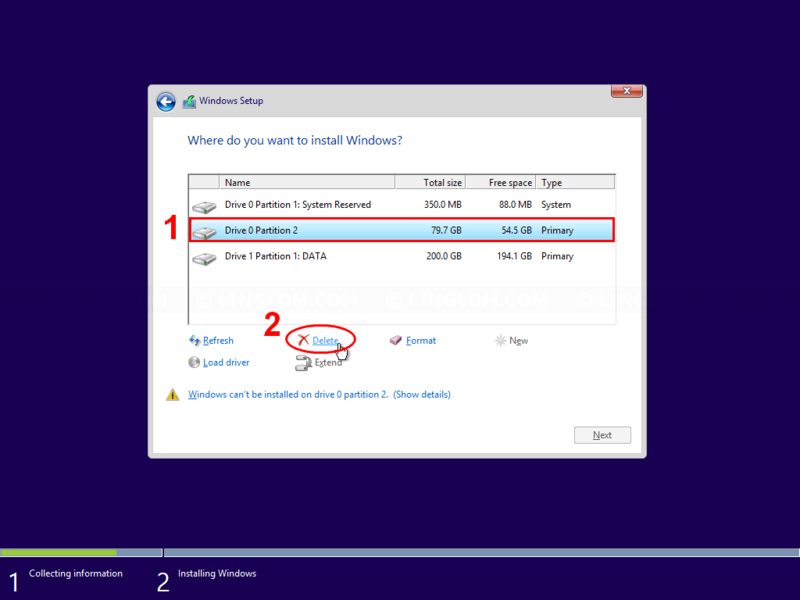 Delete all partitions on the disk and let Windows convert the disk to GPT. Convert partition table to GPT using diskpart program. I recommended the first method which is simple and fast. But I will provide the second method as reference as well. 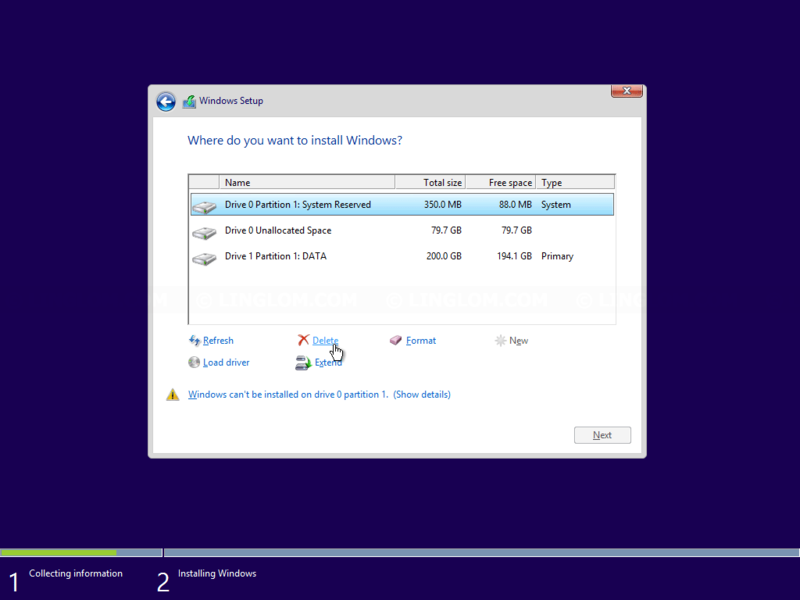 Select a partition on the disk that you want to install Windows and click Delete. If you have other partition on the disk, delete it as well. Now the disk status should be Unallocated space, you can continue installing Windows on this disk and Windows will format it to GPT. On the page that you have to select a disk to install Windows, press Shift + F10 to open command prompt window. Type list disk and press Enter. This command displays all disks on the computer. Select disk that you want. In this example, I will select the first disk (disk 0), so I type select disk 0 and press Enter. Then, type clean and press Enter to delete any information on the disk. Type convert gpt and press Enter. This command will convert the disk to GPT partition table. Click Refresh to update disk status. 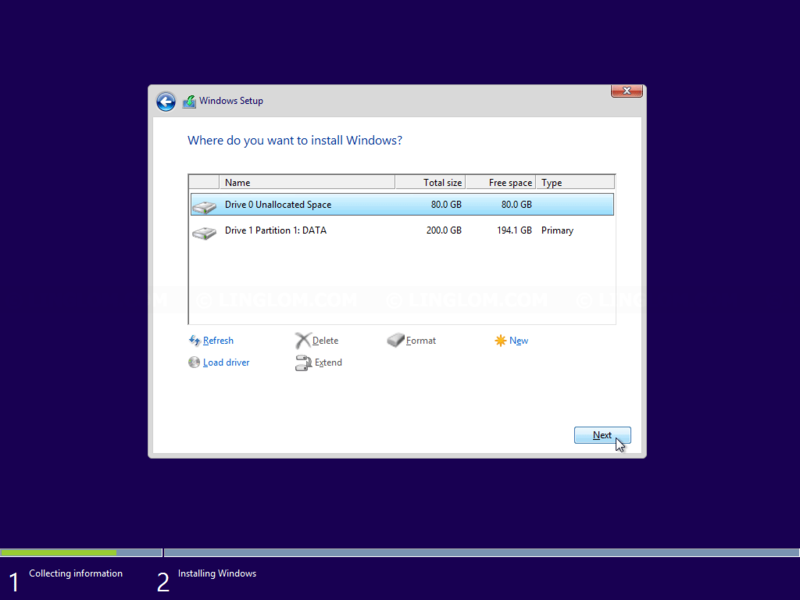 Now you can select the disk to install Windows in UEFI mode.